I was so excited to receive an invite to the Autumn Winter Co-op wine tasting event in London for last month. 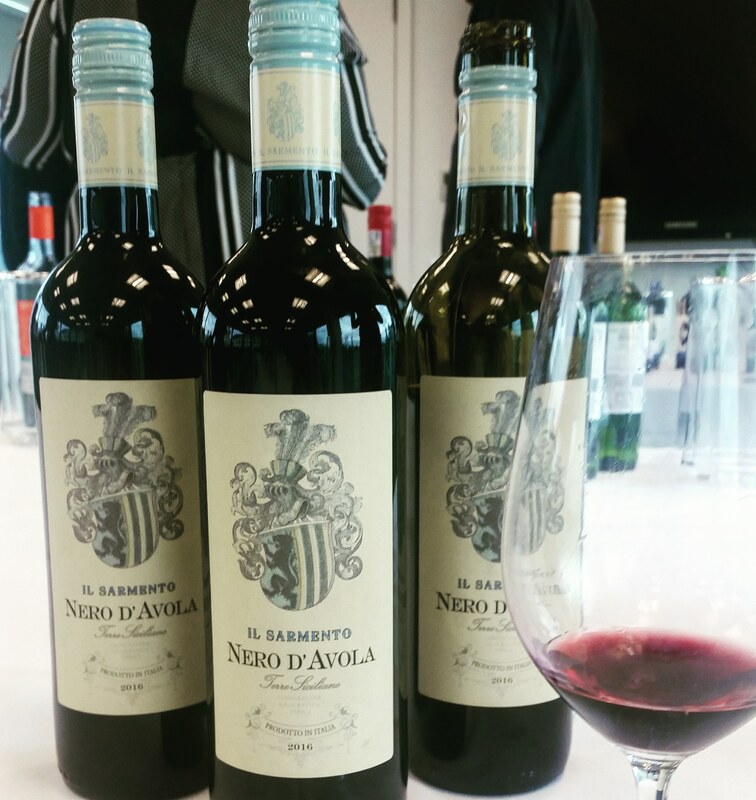 After going to the one in May for the Spring Summer collection I had a rough idea of what to expect but was on the look out for that perfect red wine to enjoy over the festive season. So after getting ready I hopped on a train at East Croydon to City Thameslink and enjoyed the short walk from the station to the Co-op’s London Warwick Street office just around the corner from the Old Bailey and St Paul’s Cathedral. Even though I had gone into the building before I still nearly walked right on by with the lack of legible signage on the front of it. As always, I was the first person to arrive and Gyles, the senior wine buyer going through the wines, offered me a glass of Prosecco to sample and enjoy whilst waiting. It was a gentle Prosecco and really helped to cleanse and refresh the palette which ahead of a session of wine tasting was certainly needed but unlike a lot of Prosecco it did not seem to be quite so violently bubbly and that made it that little bit more delightful. The Co-op Irresistible Prosecco, recently voted Which? best Prosecco on the high street, is available to purchase in stores for £7.99 and would make a fantastic welcoming drink to a dinner party this season. After everybody had arrived we gathered around to discuss the wines on offer and how they pair with different foods commonly eaten over the Christmas period. From salmon and turkey to pork pies and cheese to macaroons and mince pies we covered a whole cross section of the Christmas and Boxing Day feast traditions to see how certain wines matched different types of food. We even sampled some Co-op gingerbread tortilla rolls that were crispy, corny and just had the slightest hint of Christmas spices to them to go with the prosecco. They were an enjoyable little snack and again great to have around whilst welcoming people in and at £1.50 a bag well worth a try. One of my favourite pairings during this section was the first mince pie of the season, which alone was incredible and I will be hunting down in the Co-op this festive season, combined with a 10 year old tawny port. Port is traditionally something that makes me a little nervous as there are so many different types and the way that they are aged can give them a really oak sort of flavour but this one was smooth, full of flavour but not overly powerful and a joy to drink. Especially when it converted the mince pie into Christmas pudding and brandy butter levels of flavour. I was also extremely pleased to hear the lengths that Co-op are going to for making themselves more available to the travel audience or festival goer with their wine. This includes a plastic bottle with rather nifty plastic cup attached for things like Malbec red wine (which just so happens to be an absolute delight as a cheeky evening glass of wine in the bath). The flavours of the red wine were light and fruity and whilst it did not feel overly strong in taste it did have various levels of structure that made it an enjoyable and tasty wine for an evening of unwinding without the risk of smashing a glass bottle everywhere with slippy hands! The cup design also proved to work extremely well with the rim being soft and not at all irritating to the lips making it very easy to imagine drinking this on the go where no cups or glasses are available (though I do worry that if you put this down on a train tray or table that a bump in the tracks might derail the fun and cause a wine spillage instead). It was not just plastic bottle Wine & Go that won me over, available for a whopping deal of £1.99, but also a pouch of wine that comes in a little pricier at £2.49 that allows for real wine travel flexibility whilst also being fully recyclable. Both the bottle and the pouch were Malbec and they did both have a slight different taste to them but it is clear it works well as a wine type that does not need to be in a traditional bottle as the pouch one was also full of flavour and incredibly smooth to drink. I will admit though that I poured my pouch into a proper wine glass, rather than trying it out of the pouch like you might do on a camping trip with limited equipment, and part of me would be interested to see if drinking it from the pouch changes the flavour intensity or ‘texture’ of the wine. There’s also mini cans of sparkling pinot grigio… if pouches or plastic bottles are not your thing and you have a desire to have an alcohol beverage whilst trying to make it look like some fancy coca cola! It tastes better when poured from the can, but if you have a cup to hand I don’t see why you would get a can, and drinking wine out of a can is just a little tiny step too far for me to get behind (perhaps my opinion would be changed if I was taking one on a lengthy train journey at the start of a fun short break away). This is one that I probably wouldn’t recommend (my partner wasn’t a fan too), sorry Co-op but I guess if every person loved every single thing immediately the world would be a boring place. So in the biggest announcement of them all the Co-op are bringing out their own brand of GIN! That’s right guys now you can get 5% back onto your membership card just by purchasing some absolutely delicious gin and mixers to go with it. Not only does it taste fantastic and like one of the best gins I have tried in a while but it also has an absolutely beautiful label that accurately reflects the contents and everything on offer. The price for this will also be a steal when it hits the shelves with a purchaser getting change from £20 (even with a bottle of tonic water or similar!). As well as gin the Co-op have also got on board with the low alcohol trend. At the Spring Summer wine tasting event they had one of these on offer, a Vinho Verde that was best served very chilled but I found leaving in my freezer for rather too long, but now they have also introduced a Slender White and a Slender Red that targets the weight loss community that still wants to have a good time. I was informed by some people attending the afternoon that it worked out between 2.5 and 3 Slimming World syns a glass and both come in at a tasty £6.99 a bottle. Fun fact: If you come across something that is pink but has a distinct feeling of pinot grigio then it probably is! In Italy though they are trying to change a few things that means it can actually be called pink pinot grigio but at the minute that is not an official term so producers have been having to get creative! And yes pink pinot grigio is as delightful as you might imagine it to be and, with the interesting pink packaging, this makes a lovely gift or special treat for an occasion. And in more good news the wine world is catching up with craft beer in terms of labels and exciting packaging. Traditional shaped bottles with their predictable cute and whimsical labels are on the out and carefully crafted pieces of artwork are on their way in. From labels that have photographs of graffiti from right around the corner of the wine production centre to hand designed pieces like the one below the wine world is really getting into it. With many of the average shoppers knowing that they want a white wine they are more likely to pick a bottle up to read the label if it stands out on a busy shelf; admit it you have done it at least once because it sounds alright and is usually the sort of thing you go for but the bottle looks the best of the bunch! I have to admit that my excitement levels reached pretty high pretty quickly when near the beginning of proceedings we were introduced to Co-op Irresistible Christmas macaroons in a variety of flavours including my personal favourite; raspberry. These would make absolutely delicious alternatives to a traditional Christmas dessert but also make a fantastic coffee table piece for having friends round or, more probably, whilst doing some last minute frantic Christmas wrapping at 11pm and needing a snack to get you by. 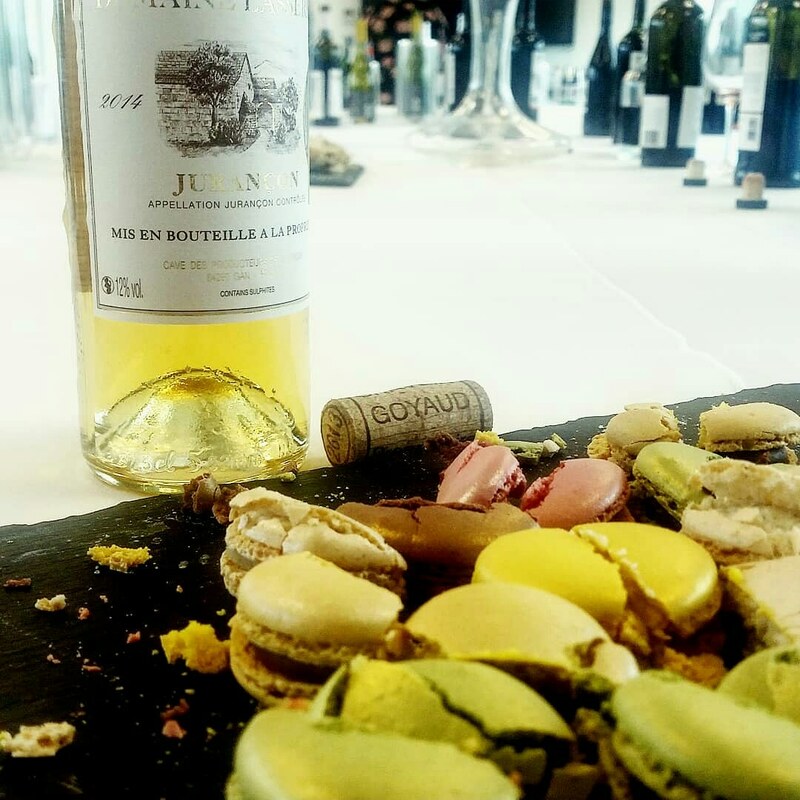 Pair them with a bottle of 2014 Domain Lassarre, Cave de Gan Jurancon and not only will the flavours of the macaroons be lifted to an intense level of flavour but also provides an incredible balance of sweetness and joy. I could probably talk about these macaroons and the wine all day so instead save me the hassle and just purchase both and try them for yourselves! I had an absolutely wonderful time at the Coop Wine Tasting A/W event, I mean wine and gin and food hellloooo, but it also gave me the chance to find some bottles that would work really well over the Christmas period and gave me consideration to try a few things that I would not usually plonk for (for instance Malbec wine, when did I become such a fan of red wine?!). All I need now is to figure out what is happening over the Christmas period so I can pick up my membership card and take a trip down to my well stocked and decent sized Co-op. This entry was posted in Drink, Food and Drink and tagged art and design, autumn, autumn winter, beer, bubbly, christmas, design, dessert, dessert wine, drink on the go, festive, food, food blog, food blogger, food bloggers, gin, graphic design, lblog, lblogger, lbloggers, life, Lifestyle, lifestyle blog, lifestyle blogger, lifestyle bloggers, London, macaroon, macaroons, manufacture, members, press event, prosecco, pudding, red wine, review, samples, savoury, seasonal, The Co-Op, the coop, the cooperative, travel, white wine, wine, wine on the go, wine tasting, winter. Bookmark the permalink.